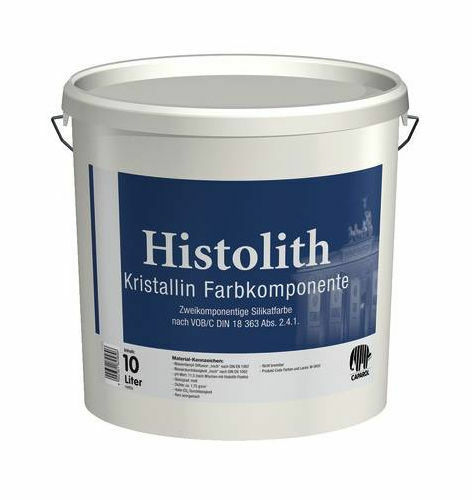 Histolith® Kristallin is particularly suitable for the renovation of listed (landmarked) buildings/monuments, as the material allows a physically advantageous and durable coating, similar to lime paint coatings. 2-component silicate paint system based on pure silicate without organic stabilisers. Suitable for highly weather-resistant coatings with an excellent colour brilliance. Silicifies durably with the substrate. w-value: depending on the substrate. Potassium silicate, non-fading mineral pigments and mineral fillers.